Welcome to the 175 year old, 31.6 acre cemetery that is known as the largest cemetery in Concord, the Sleepy Hollow Cemetery. Located just one block east of Monument Square your group will find over 10,000 grave sites, many of which are of local, national, and international interest. History buffs, literature buffs, and lovers of nature alike will absolutely fall in love with this resting place of some of the most famous thinkers of the 19th century. 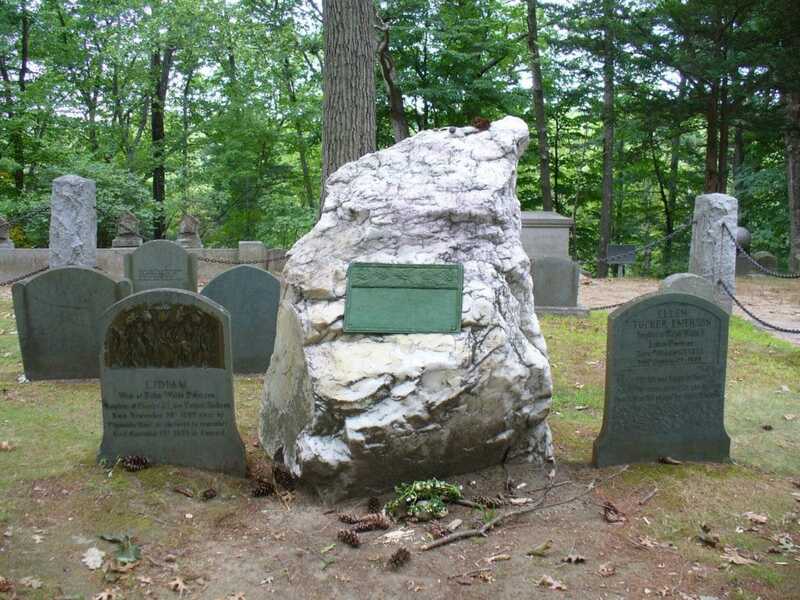 Sleepy Hollow Cemetery is one of the first in the United States designed to have Sylvan character and is on the National Register of Historic Places. This burial site is home to a number of famous Concordians as well as some of the United States’ greatest authors and thinkers. Once here your group will have the chance to walk all about the resting place, respectfully, noticing all the famous and historical headstones as well as the several gorgeous woodlands paths to walk about. Check out the hill known as Author’s Ridge, a measure of Concord’s dominance of 19th century American literature personified. The Melvin Memorial, or Mourning Victory, tells the story of a Civil War hero, and the rest of the cemetery will show sites of the Alcotts, Emerson, Hawthorne, Thoreau, Sanborn, and Channing. Your group is really going to love this site, what the original designer called an "early natural garden with Emerson’s aesthetic principles in mind."